Time is running out for Spanish holiday-home developer Polaris World. It now has just 10 days to reach a deal with its creditors before it is forced to seek protection from them in court administration, reports the financial news site Eleconomista.es. Court administration is often the first step towards bankruptcy. Polaris World has already managed to renegotiate 900 million Euros of its more than 1.2 billion Euros of debt. The sticking point is just 85 million Euros, a relatively small amount compared to the company’s overall debts. Polaris World took the first step towards bankruptcy proceedings back in December last year, when it took advantage of a provision in the law giving companies in financial distress 3 months of breathing space to negotiate with creditors, in the hope of avoiding the more drastic step of court administration. The deadline passed on March 22, but PW announced would continue negotiating for another month, during which time it should have gone into administration, in theory. 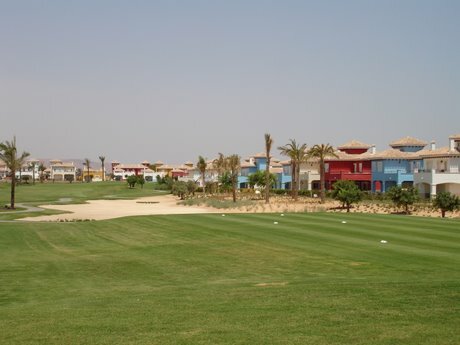 Murcia-based Polaris World, Spain’s biggest holiday home and golf course developer, has now run out of room for manoeuvre. A deal must be reached in the next 10 days or the company, controlled for the time being by Pedro Maroño and Credit Suisse, has to file for court protection. Eleconomista reports that, in the meantime, the company is desperately trying to slash costs by shrinking its structure. It is reportedly liquidating 50 of the 70 companies in the group, selling all non-core businesses to raise money and focus on development. What happens if PW go into administration? Well, for a start, there will be another wave of buyers trying to get out of their purchase contracts, which will just aggravate the company’s financial difficulties. Polaris World reached agreement with their creditors late yesterday. It is very positive news for owners, buyers and everyone involved in the resorts. Likewise, if a deal like this can be struck then it’s positive for the whole real estate sector in Spain and yet more evidence of returning confidence and that the worst is behind us.